One of the most popular country music concerts celebrates its 10th anniversary this year. Have you booked your trip to Baton Rouge yet? Get your tickets to Bayou Country Superfest to see what all of the hype is about. Taking place on the campus of LSU at Tiger Stadium, this two-day extravaganza features an amazing lineup of your favorite country artists including Kenny Chesney and Florida Georgia Line. Enjoy an unforgettable Memorial Day Weekend in Baton Rouge to kick off your summer with a bang. This year, Bayou Country Superfest takes place May 25 and 26, so you still have time to reserve your room at our Louisiana hotel with free Wi-Fi and an outdoor pool. Put on your cowboy hat, head to Baton Rouge, and be there for two days of outstanding country music. Who is your favorite country and western band? If you're a fan of this down-home style of music, you don't want to miss this year's Bayou Country Superfest. From best-selling solo artists like Jason Aldean and Kenny Chesney to beloved groups like Florida Georgia Line and Dan + Shay, this Baton Rouge concert always delivers the top talent on the scene today. Now entering its 10th year on the scene, 2019 Bayou Country Superfest features eight artists on the same bill that are selling out venues across the country. Spend your Memorial Day Weekend with thousands of country music fans in Baton Rouge. With more than 30 million albums sold to date, Kenny Chesney is one of the most successful country artists to ever hit the Billboard charts. With awards from the Academy of Country Music, the Country Music Association, and the Billboard Music Awards, Jason Aldean has been wowing music fans since he burst onto the scene in 2005. Rounding out this year's lineup include Florida Georgia Line with their sing along hit, "Cruise", Dan + Shay with their breakout hit, "Tequila", and Kane Brown, the 25-year old rising star who is known for his chart-topping song, "Heaven." Our hotel is just a quick ride from LSU, so you can be there for every minute of music during this two-day festival. Here's the official lineup, so you can arrange your Bayou Country Superfest plans around your favorite artist. Louisiana State University Tiger Stadium is a great place to see a concert. The atmosphere is festive with thousands of fans singing together to their favorite hits. You can sit up close to the action right near the stage or be part of the fun in Tiger Plaza where tickets are the most affordable. Tiger Plaza offers general admission with prices starting at $130 for the two-day concert. If you really want to be part of the show, get tickets in the Golden Horseshoe. This section wraps around the stage putting you within a few feet of the superstars in the spotlight. It's standing room only and the prices start at $500 for this exclusive ticket. Prices for floor seats range from $250 to $350. Take a look at the seating map to see what tickets are available on Ticketmaster and choose your best option. Just don't wait too long to pick your seats, because Bayou Country Superfest is one of the most popular country music festivals in the nation. With Memorial Day Weekend right around the corner, the best tickets are sure to go fast. 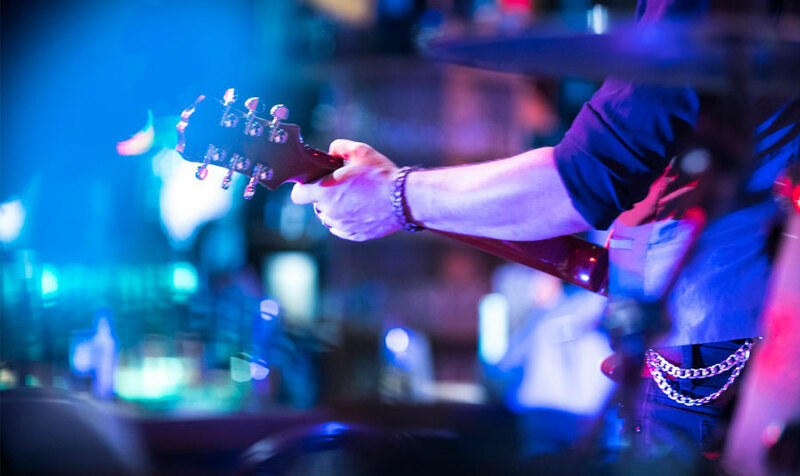 Whether you're coming for Bayou Country Superfest to kick off your summer or you're planning on coming back in the fall for a football game, our hotel puts you close to the Louisiana State campus. Located about four miles away, you can hop in your car and be at the stadium in less than 15 minutes. You can also hire a local taxi, Uber or Lyft to get you to the stadium in no time with our hotel's location close to Downtown Baton Rouge. Talk to our concierge team at our Holiday Inn to learn more about getting to and from the venue. Looking for the best way to spend Memorial Day Weekend this year? Come on down to Baton Rouge to experience two days of music and fun at Bayou Country Superfest. After each night of the show, you can log onto complimentary Wi-Fi in your room to share videos and photos of your country music adventure. In your free time, you can visit the USS Kidd, a historic World War II destroyer ship, or go on an exciting shopping spree at the Mall of Louisiana. Learn more about our hotel's perfect location for Baton Rouge things to do.